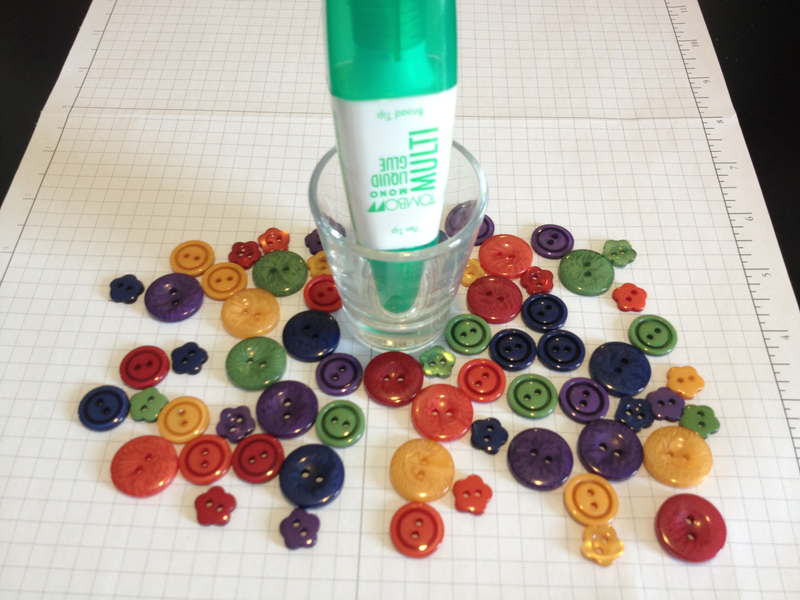 I love using Tombo Multi Glue in my 3D projects and whenever I use buttons. There is nothing worse than being ready to put the finishing touches on your project when you have to stop and work at getting your glue out. My solution: I store my glue upright in in shot glass. This entry was posted in Uncategorized on January 8, 2013 by katzcreates.